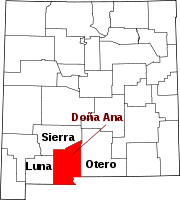 San Ysidro is a census-designated place in Doña Ana County, New Mexico, United States. Its population was 2,090 as of the 2010 census. San Ysidro is located at 32°21′24″N 106°48′46″W﻿ / ﻿32.356752°N 106.812892°W﻿ / 32.356752; -106.812892. According to the U.S. Census Bureau, the community has an area of 2.645 square miles (6.85 km2), all of it land. 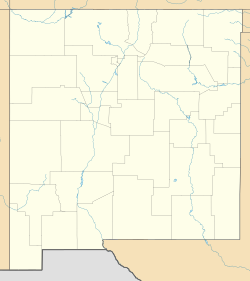 ^ a b c d "2010 Census Gazetteer Files - Places: New Mexico". U.S. Census Bureau. Archived from the original on July 14, 2014. Retrieved August 21, 2014. ^ "San Ysidro". Geographic Names Information System. United States Geological Survey. This page was last edited on 5 May 2018, at 08:19 (UTC).